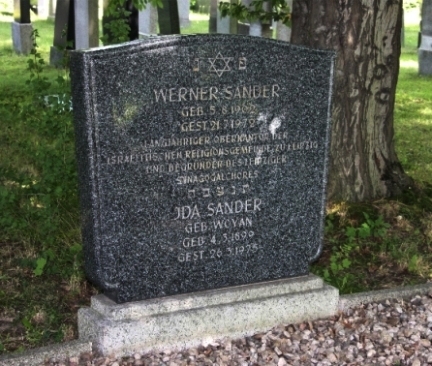 Preservation of the gravesite of Werner and Ida Sander is complete! 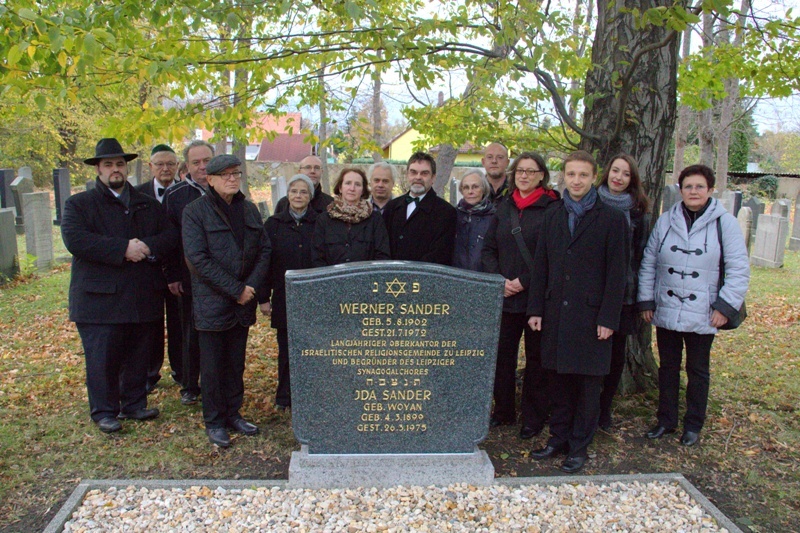 To commemorate the 40th anniversary of the death of chief cantor Werner Sander, the founder of the Leipzig Synagogal Choir, some members of the choir had visited his gravesite on 22 July 2012 to clean and clear it from weeds. We collected donations for the renovation of the tomb. After completion of a sponsorship agreement between the choir and the Jewish community of Leipzig, we were able to give the work commissioned. 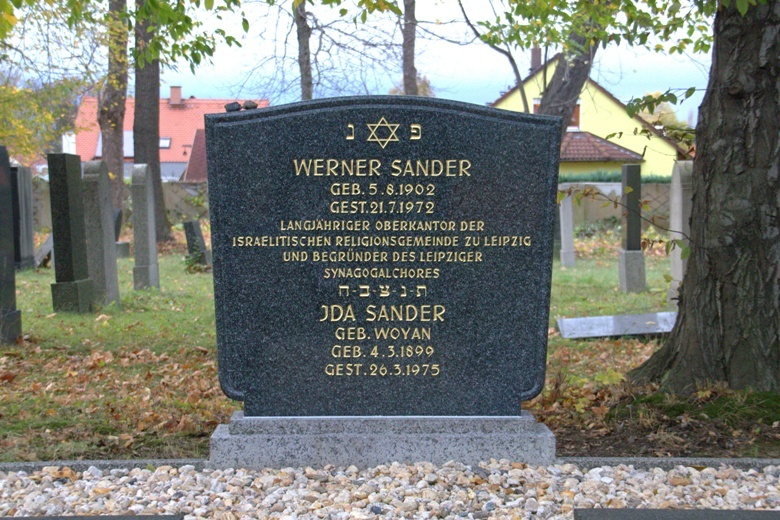 On 7 November 2013, it finally happened: The restored gravesite was ceremonially handed over to the Jewish community.